Find out how to customize Zacks IR Tools to enhance your firm’s IR function. Whether you need a complete IR solution or a specific data set, we invite you to leverage Zacks 30+ years of analyst data research. 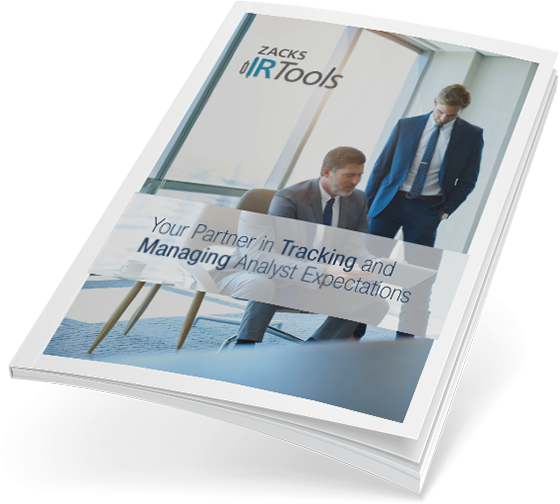 Zacks IR Tools can help your company’s IR department function more efficiently, and strengthen your vital relationship with the investor and analyst community. Our comprehensive overview guide fills you in on all the ways we support your IR mission. Discover all the ways Zacks helps your IR department function at maximum efficiency and effectiveness.